Monkey Bars have always been a favorite among parks and playgrounds. I can remember crossing monkey bars when I was younger and pretending I was going over something dangerous, like hot lava, so that I wouldn't let go until I got to the other side. However, I didn't know anyone that had monkey bars in their backyard. I only got to play on them at school or a city park. 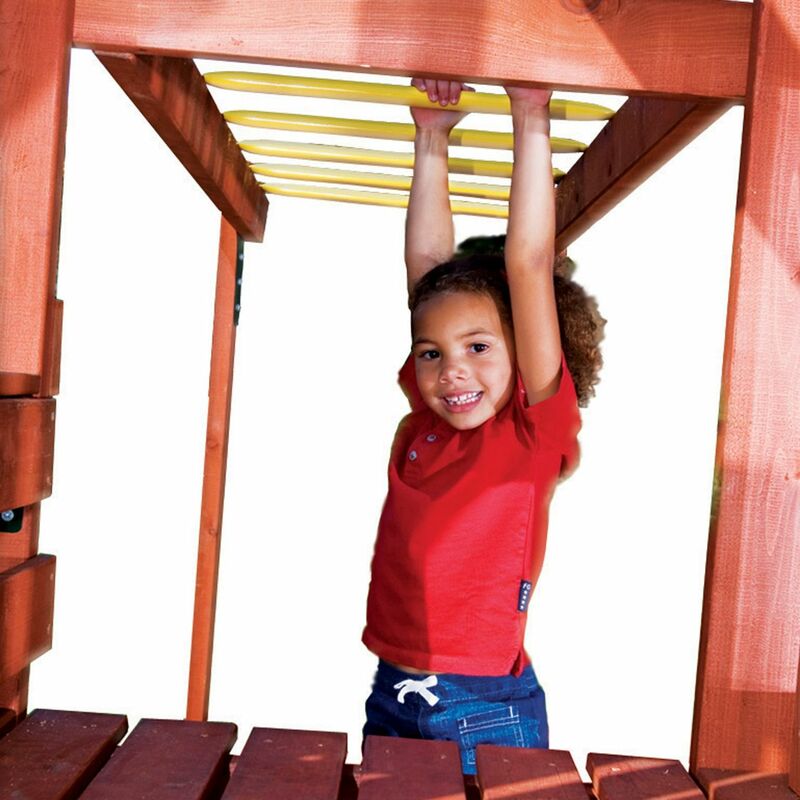 Now you can get monkey bars for your backyard play system! There is a Monkey Bars Kit that is a great add-on for your play set. This kit is easy to install and offers another element to your child's playground. Another great use for the Monkey Bars Kit is to install them to create a vertical ladder, rather than the horizontal one. Both ways help build upper body strength and stamina. I sure wish I had my own monkey bars when I was a kid. I would have been kept busy for a long time!